Members of the Jewish Federation and the memorial committee gathered with other community members and leaders yesterday at the Peoria Riverfront Museum for the groundbreaking. The 11-million buttons that were on display at the Shoppes at Grande Prairie for 11 years are in the process of being washed and dried before they’ll be placed at the new memorial. The memorial, the only one of its kind has a lot of symbolism. *Each button is unique like a person. *Buttons were a part of the clothes left behind at the gates of the camps and ghettos. *Button are enduring, they last long after a garment is gone. *Buttons are most often round and symbolize the cycle of life. 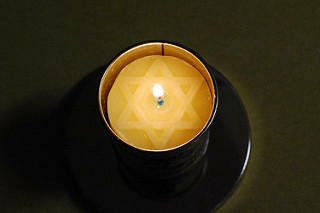 *18 Columns, each in the shape of the Star of David, will hold six-million buttons representing the Jews killed Holocaust. *The columns, displayed equally divided in two lines are reminiscent of the selection process Jews endured at the concentration camps. One line led to instant death and the other to forced labor and incarceration. The memorial rededication is April 23, 2017 at 2:00 p.m. in concert Yom HaShoah or Holocaust Remembrance Day. Holocaust survivor Manfred Katz is scheduled to be the guest speaker. 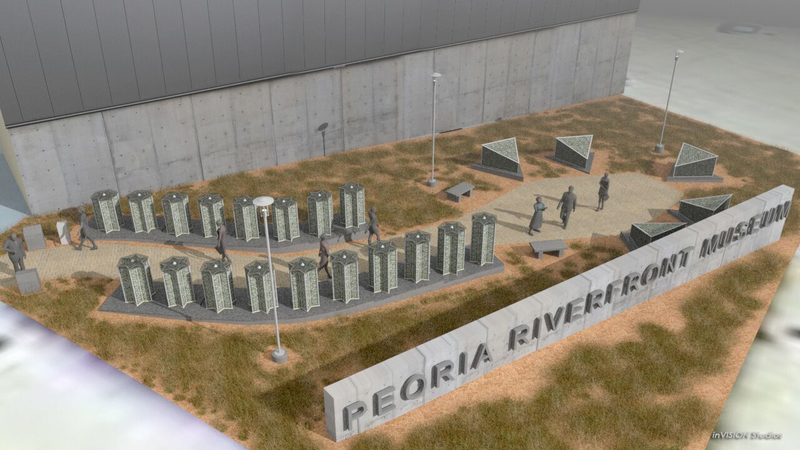 Link here to the Peoria Holocaust Memorial website. The Jewish Federation of Peoria is inviting children and their families to put their architect skills to work today. The Federation is hosting a sukkah-building activity at the Peoria Playhouse Children’s Museum. Sukkahs are huts that serve as a reminder of the ramshackle dwellings the Israelites lived in after fleeing slavery in Egypt. 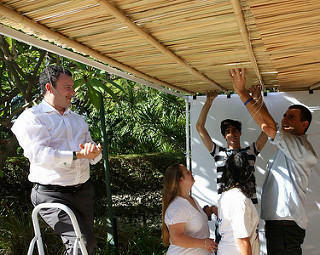 The tradition of building Sukkahs is part of Sukkot, the Jewish holiday that celebrates fall harvest. This year, Sukkot falls on Sept. 27 and ends on Oct. 4.